Does your business need an all-in-one document shredding and recycling service? G.H.S Recycling Ltd will shred your documents in a confidential environment, and we have the facilities to recycle a majority of your office waste. For a complete Basingstoke document shredding and recycling service look to no other company than G.H.S Recycling Ltd. Does your business need confidential documents shredded? Every business has a legal obligation to comply with the Data Protection Act and ensure that all confidential documents are disposed of in the proper fashion. In addition, we tailor all of our shredding services to suit the needs of your Basingstoke business. So if you need a one-off service, a daily service or weekly etc. G.H.S Recycling Ltd will be there to shred your documents when it is required. Visit our data destruction page for more details on how we shred documents. The benefits of recycling are plentiful for a wide range of businesses. A major benefit to recycling a significant portion of your waste in your Basingstoke property is that it will enable your business to cut expensive refuse costs. All offices regardless of their nature produce a large amount of waste every week which if it is not recycled will incur a significant increase in refuse costs. Recycling is not only cost-effective, but it will enable your business to present an environmentally friendly image. We believe in tailoring all of our services to serve the recycling needs of our customers. Every office will produce different amounts of waste, and we will tailor our collections to serve your business’ recycling collection requirements. Discover how G.H.S Recycling Ltd is number one for recycling office waste. Cardboard and plastic often make up a significant portion of refuse if they have not been recycled. 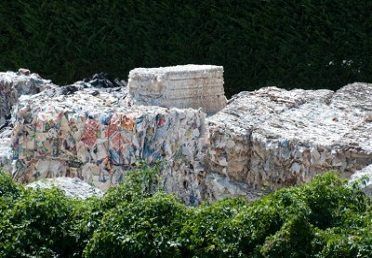 We understand that it can be hard to recycle particularly as many recycling companies only take certain types of cardboard and plastic. If the cardboard waste you need to be recycled is not listed, view our cardboard recycling page for more information on this service. All plastics will be processed in a variety of ways to suit the plastic type. Why Choose G.H.S Recycling Ltd? With many years of experience in document shredding and recycling in Basingstoke, G.H.S Recycling Ltd has provided the best service for businesses of all types. We are unmatched in Basingstoke for the amount of materials we recycle and we are extremely flexible on collection dates. Don’t throw away those documents or rubbish, recycle or shred the documents with G.H.S Recycling Ltd by calling us on 023 9267 0399 or email: info@ghsrecycling.co.uk.